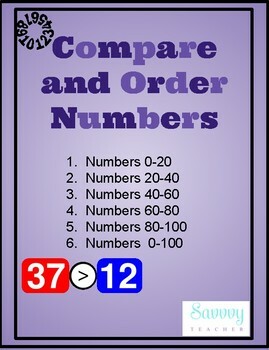 Compare and order numbers 0-100. 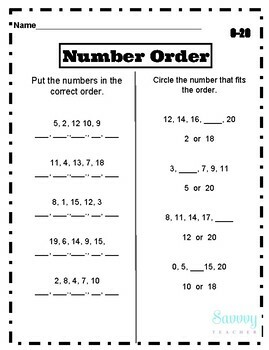 Inside you will find 12 pages that allow students to practice putting numbers in order as well as comparing numbers using greater and less than symbols < >. 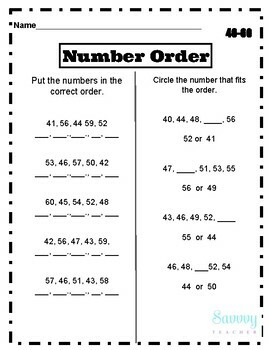 Children can start by working with numbers 0-20, then proceed on to 20-40, 40-60, 60-80, 80-100, and lastly work on a page with a mix of numbers 0-100.